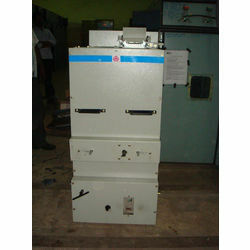 Our organization provides 7.2 KV Vacuum Contactors Indoor Panel, which are used in indoor vacuum contractors. These panels are compact in size and consume less amount of space. Our range of panels finds application in capacitors, electric furnaces, motors and transformers. These panels are sturdy and have low maintenance cost. We are instrumental in offering 7.2kV Vacuum Contactors With Mechanical Latch, which provides excellent performance in adverse environmental conditions. These compact contactors come with mechanical latches and have high breaking capacity. As our contactors come with mechanical interlocks, these are suitable for frequent operations. As transformers, capacitors, motors and electric furnaces require high frequency switching, our contactors prove useful for these products. Our clients can avail from us 7.2kV Vacuum Contactors With Electrical Latches, which are easy to install. 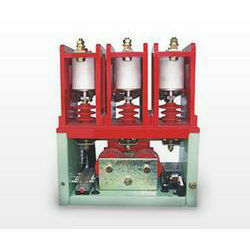 These three pole/single pole vacuum contactors come with electrical latch for excellent performance. In order to improve the power supply, these contactors find application in electric furnaces, transformers, high voltage motors and capacitors. 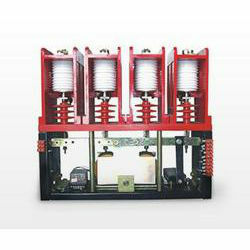 Furthermore, these contactors are also used in the mining sector. 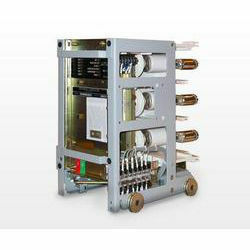 We provide a wide range of Vacuum Contactor Trolley, which consists of numerous wet/dry Vacuum Contactor. These Contactor are installed on a heavy truck with a holding tank. Employed in the grease, sludge, dirt, oil, ash, wood chips, stone and other impurities, the Vacuum Contactor truck fits through the specially designed hose. Moreover, the truck is robust in design and highly durable. Looking for Vacuum Contactor ?